If there’s one thing I think this city needs a little more of, it’s ramen. Obviously, I’m not talking Top Ramen here people. Although it was a staple of my early twenties. I’m talking authentic, mouthwatering, so good you order seconds ramen. Like, if my feelings about ramen were a GIF, it would definitely be this one. As I said, we could use a little more amazing places to eat some ramen. But what I didn’t say is that I’m sort of being greedy because there are already some places to get an incredible bowl of ramen in Columbus. Here are some of my favorites. When I think about ramen, Meshikou is usually the first spot that comes to mind. I’ve honestly never had a bad dish there. On top of yummy eats like the Spicy Miso Ramen or the Fireball Tonkotsu, you’ll also be impressed by the super friendly and helpful staff. Fukuryu Ramen is such a delight. I’m not quite sure why, but when I eat there I always feel like I’m on vacation. Maybe that’s because it feels like a place that’s way too cool for me. 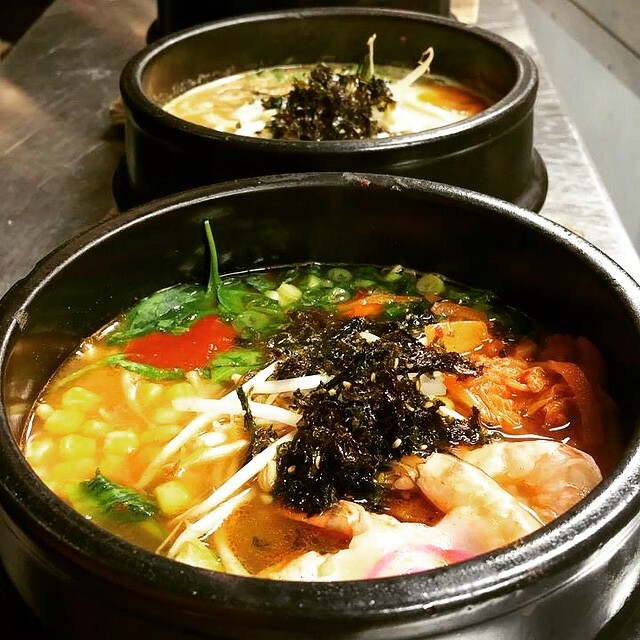 They have a huge variety of ramen options, including traditional and modern styles. They also offer Japanese fried chicken and it’s the bomb.com. See, I’m really not cool. Address: 4540 Bridge Park Ave., Dublin, Ohio and 1600 West Lane Ave, #160 Upper Arlington, Ohio. There’s also one in Australia but that doesn’t do you much good. Before we even talk about the ramen, we have to talk about the fact that when you walk into Tensuke Express, you’ll pass a sign on a ceiling that says, “Don’t bump your noodle”. It’s precious and it instantly makes you realize that you’ve come to the right place for a pick me up. 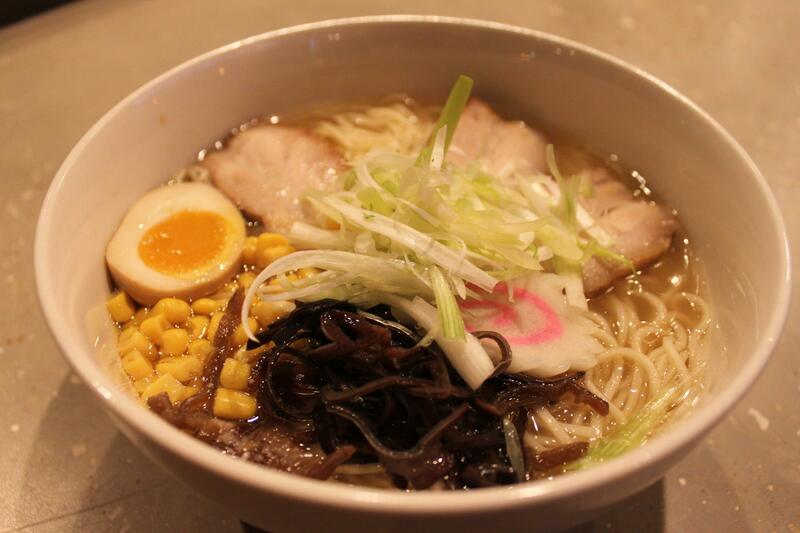 The ramen is here is good, so you should probably prepare yourself for a little wait. Which is alright, because it will only make you appreciate it more. If you can’t go to the ramen, the ramen can come to you. Well, you’ll still have to put in some effort, but not too much. 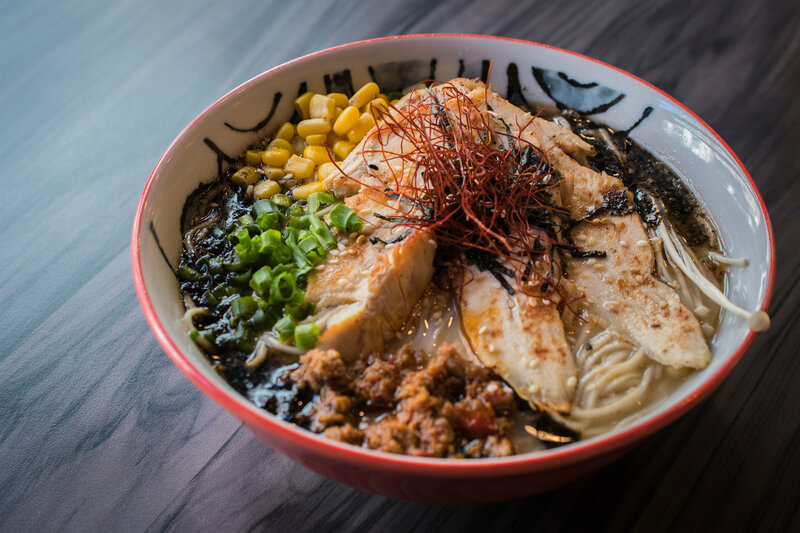 Capital Ramen Food Truck can be found in various locations around downtown Columbus, which means you can get it quick and still be back to your desk before your lunch break is over. I love Tiger + Lily for so many reasons, but the reason I love them the most is their ramen. They’ve got a decently sized menu, with options ranging from beef to turkey and just about everything in between. They also have soupless noodles, which is basically ramen without the broth. I have to admit, if I could put Rishi on every food list that exists, I probably would. 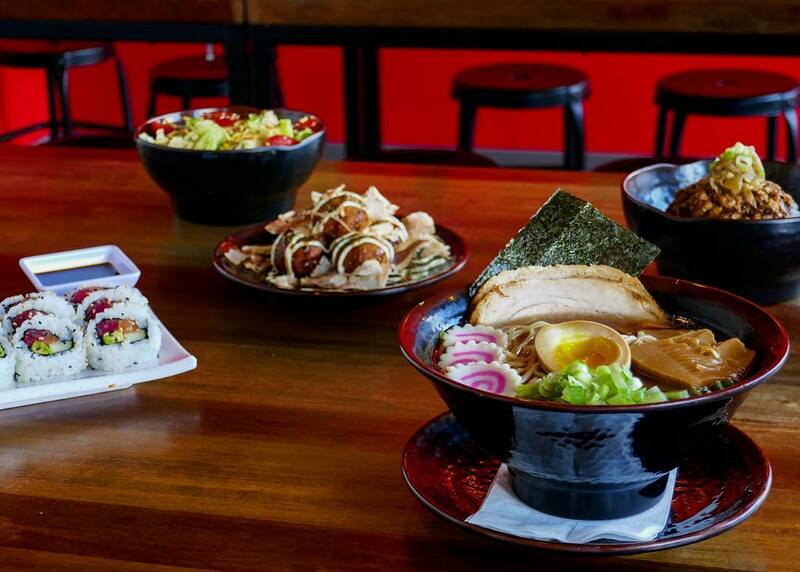 While they may be more famous for their incredible sushi, they serve up some mean ramen. You can get either Shoyu or Miso ramen, and you get to customize everything.